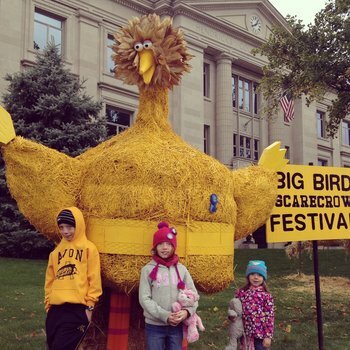 Editor&apos;s Note: The Scarecrow Festival that was planned for Oct. 3 has been cancelled since this story was published. The scarecrow displays will still line the Courthouse Square during the month of October, however. One of the biggest seasons in Hendricks County is autumn, and along with the changing colors of the foliage comes a bunch of fun, family-friendly festivals. Here are 10 great reasons to visit Hendricks County this fall. The annual Fair on the Square is hosted by Danville Tri Kappa and takes place on Sept. 12-13 on the historic Hendricks County Courthouse Square in Danville. From 10 a.m. to 6 p.m. on Sept. 12 and 10 a.m. to 4 p.m. on Sept. 13, a slew of exhibitor booths and vendors will be on hand to explore, along with live music, extreme science shows, games, kids&apos; activities and other free entertainment. For the energetic types, the Fourth Annual Hendricks County Half-Marathon takes place on the morning of Sept. 12. For more information, click here. For people like me, however, it&apos;s worth noting that there is a beer garden at this year&apos;s Fair on the Square! Head on up to St. Malachy Parish Church in Brownsburg on Sept. 18-19 for the St. Malachy Country Fair. where you&apos;ll find carnival rides, a hog roast, games, bingo, raffles, and live entertainment! 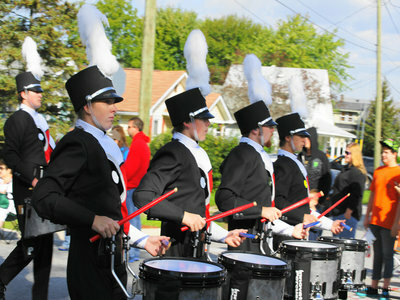 The Town of Plainfield hosts its Plainfield Annual Parade on Sept. 19 at 10 a.m. to kick off the Quaker Day Craft and Community Festival. The event is filled with craft and community vendors, as well as entertainment, food and a car show under the trees. The Town of Avon joins in the festival fun on Sept. 26 with its annual Avon Community Heritage Festival. Taking place at Washington Township Park, this festival features a parade, a talent show, live entertainment, a kids&apos; zone, food, exhibits and fireworks! For more information, click here. Did you know that we have alpacas in Hendricks County? Neither did I until I was looking at the Visit Hendricks County Events Calendar! 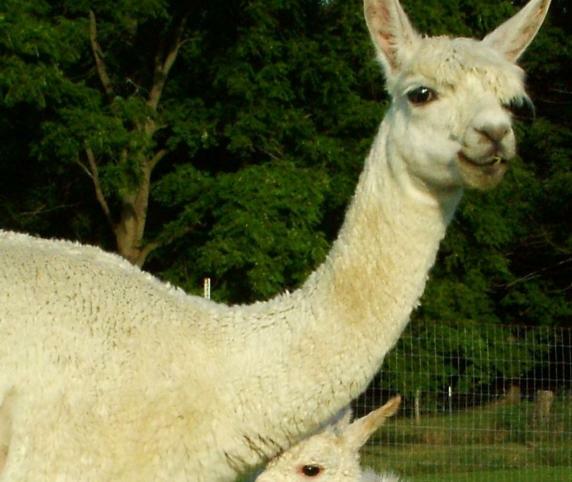 Sure enough, the Montrose Farms Alpaca Ranch is located in Brownsburg, and on Sept. 26 from 11 a.m. to 4 p.m., they are hosting the National Alpaca Farm Day Open House. One of the biggest and most popular fall festivals in Hendricks County, the Heartland Apple Festival at Beasley&apos;s Orchard in Danville will take place this year on the weekends of Oct. 3-4 and Oct. 10-11. This is a can&apos;t-miss event with hay rides, bounce houses, a kids&apos; zone, face painting, a corn maze, food, entertainment, arts and crafts, wine tasting and much, much more. Oh, and they have some apples there, too, along with everything you could possibly want to know about and make with apples. For more information, click here. Every year, scarecrows line the lawn on all four sides of the Hendricks County Courthouse in Danville during the month of October. Families will truly enjoy checking out each and every scarecrow as the creativity by local organizations and individuals is truly amazing. The display will remain on the Courthouse lawn from Oct. 3-31. During the weekend of Oct. 9-11, the Royal Theater in Danville hosts the annual Indiana Short Film Festival, where movie buffs can come out and see a wide variety of short films created by up-and-coming movie-makers from all over the world. I&apos;ll be writing about this festival in more depth later this month, but for now, click here for more information. The foliage in Hendricks County explodes with color in the fall, and one of the best places in the state of Indiana to view fall foliage is at McCloud Nature Park, just south of North Salem. On Oct. 17, make a point of visiting the McCloud Fall Festival and compete in a family scarecrow-building contest, navigate the prairie maze, paint pumpkins, hike the trails and savor all kinds of tasty goodies. For more information, click here. New this year is the McCloud Nature Park Fall Colors Run, which offers a 1K, a 5K and a one-mile family fun run through the beautiful fall foliage. For more information about the run, click here. 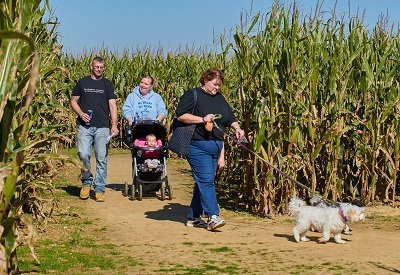 Dog lovers will enjoy the annual Dog Daze at the Maze at Beasley&apos;s Orchard in Danville on Oct. 24-25, where folks are encouraged to bring their canine companions out to explore the corn maze, compete in a costume contest, take a hayride, adopt a pet, and much more. Kids can enjoy face painting, inflatables and much more. You can find all 10 of these festivals, along with all sorts of other fall activities taking place in Hendricks County, on the Visit Hendricks County Events Calendar. And, of course, stay tuned to this blog as we explore many of these festivals in more depth as the events approach!